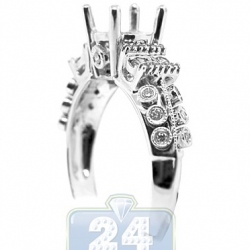 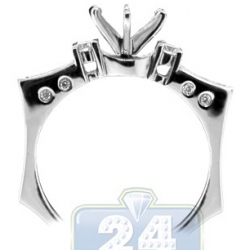 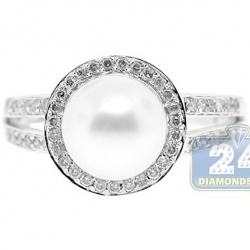 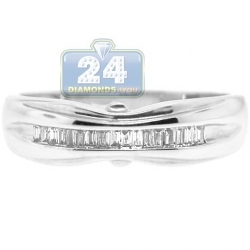 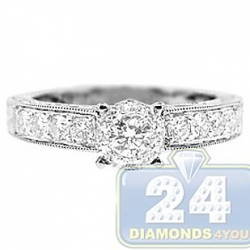 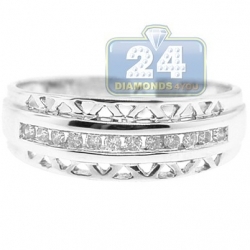 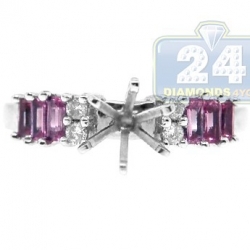 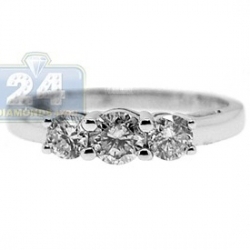 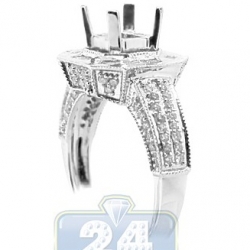 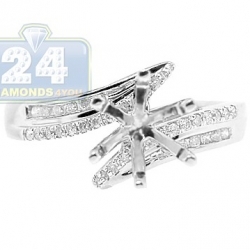 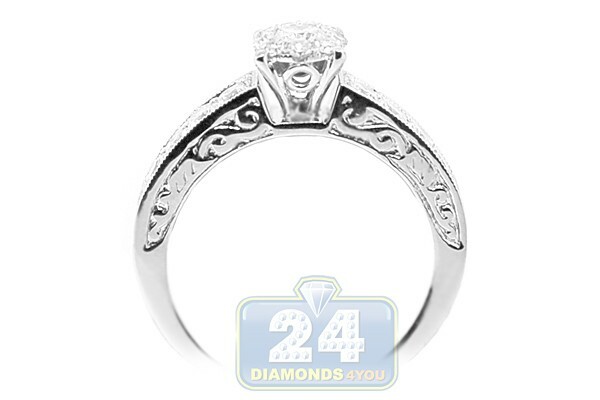 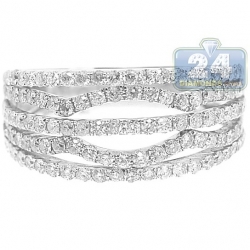 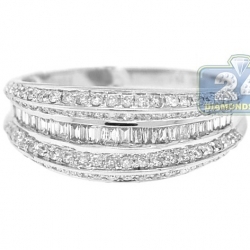 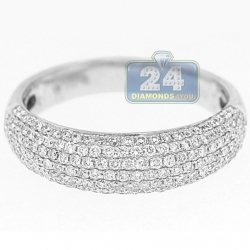 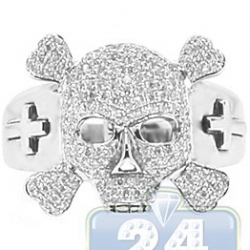 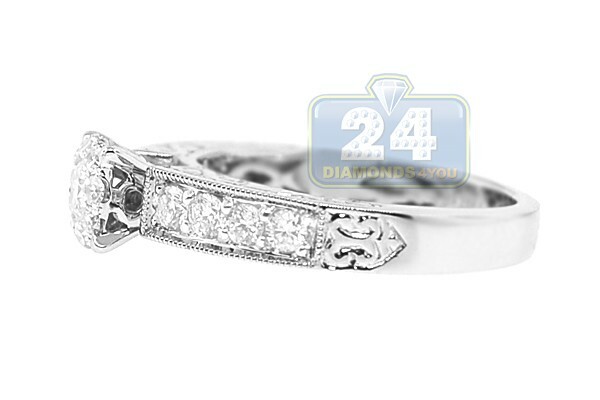 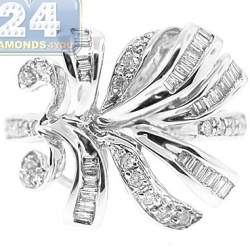 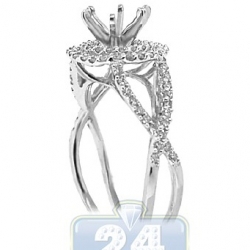 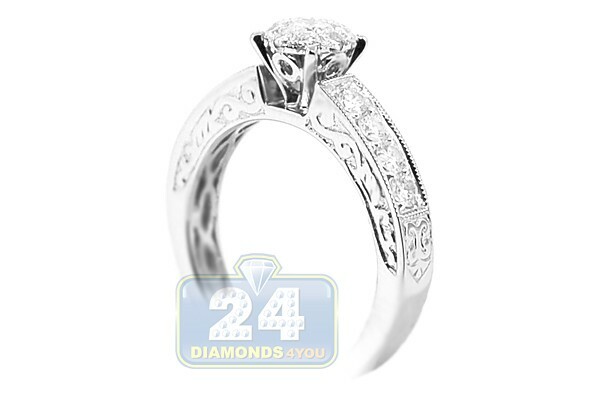 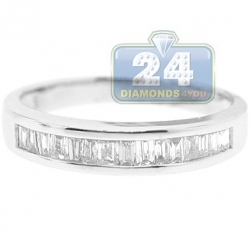 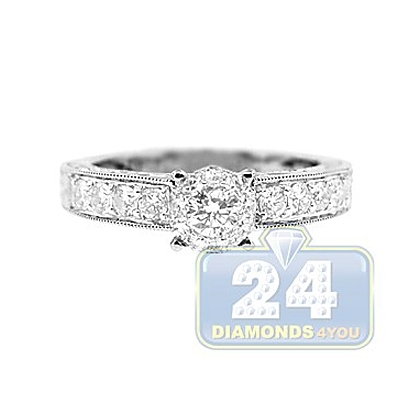 Express your deepest love with this 14k white gold exquisite engagement ring! 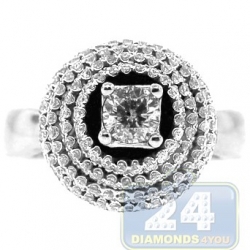 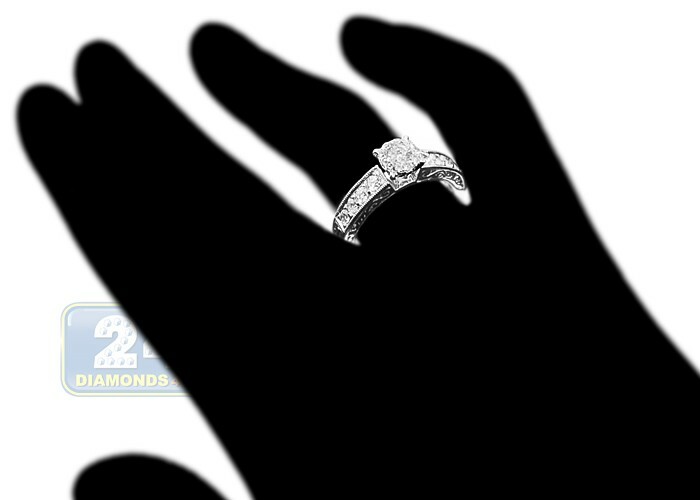 A dazzling round cut diamond sparkles gorgeously between amazing small round diamonds set on the shoulders of this exquisite ring. 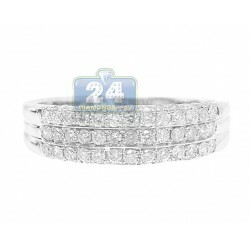 This amazing jewelry piece is detailed with hand engraved old style shank which adds a romanticism and epitomizes the glow of your love.